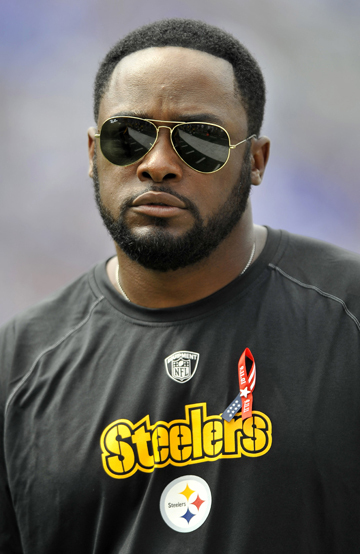 PITTSBURGH (AP) — Pittsburgh Steelers coach Mike Tomlin has been named to the NFL's competition committee. Commissioner Roger Goodell named Tomlin to the committee on Tuesday. Tomlin will replace former Arizona Cardinals coach Ken Whisenhunt. Tomlin had worked on the coaches subcommittee of the Competition Committee since 2009. The 41-year-old Tomlin is 68-36 in six seasons with the Steelers and led them to victory in the 2009 Super Bowl. Tomlin says he is “excited” about the appointment and is looking forward to contributing. The nine-man committee — which is co-chaired by Atlanta Falcons President Rich McKay and St. Louis Rams coach Jeff Fisher — recommends rules and policy changes to the NFL.